Day 12: Saddest Anime Scene? While I have several sad anime’s that I have seen one of the saddest ones has to be the ending of Angel Beats! 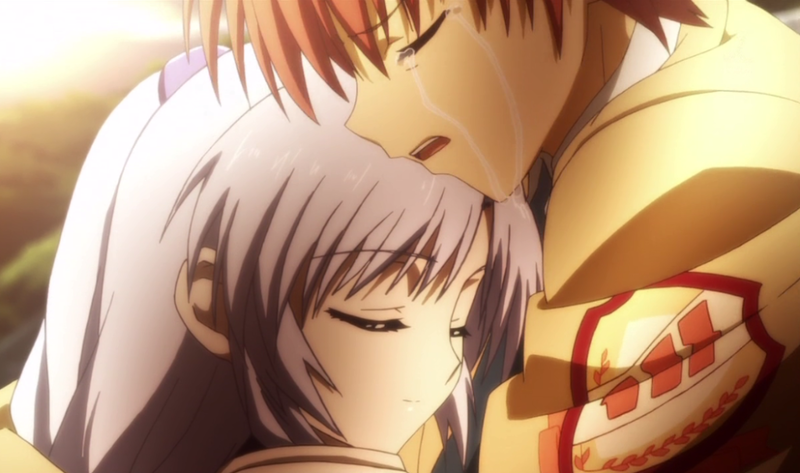 I must have cried so hard when Otonashi and Kanade had to say goodbye to each other and she really didn’t want to go. I have several other scenes from other anime’s that made me cry but that is one that I remember that made me cry so hard and I couldn’t stop crying. So what is the saddest anime scene that you have ever seen. Let me know in the comments and that ends day 12 of 30 of the anime challenge. Also once again happy watching!